NEDA recently published the latest draft of its National Transport Policy Implementing Rules and Regulations, which you can find here. It aims to unify all transport-related projects in the country, and synchronize decisions and investments of all transport-related agencies. Last October 1, NEDA invited all interested parties to voice their concerns and comments at a Public Consultation which we attended. Sakay.ph supports NEDA's push for a modern, efficient transport plan for the Philippines, and praises its openness to dialogue from stakeholders. We endorse the proposed revisions from the Move Move Move People Coalition, especially its push for Open Data in the public transport sector. Based on our experiences as an Open Data-fuelled app, we believe that these revisions would greatly improve the nation's ability to analyze and improve various aspects of its public transport. You can find our full statement at the bottom of this post. What is the Move Move Move People Coalition, and what are its revisions? The Move Move Move People Coalition is a group of various transport organizations, working together to represent the interest of public commuters. Its primary goal is to push for reforms and improvements in the country's transport sector. The coalition's revisions to the IRR attempt to bring the policy up to global standards by emphasizing inclusive, human mobility and introducing modern information technology. The full text of the MoveMoveMove Coalition's proposed revisions can be found here. Where can I find the full text of Sakay.ph's position? We’re writing as the creators of Sakay.ph, a privately-owned website and app service, with an interest in public transport as it pertains to the common good and our business operations. We are submitting this letter in response to NEDA’s call for comments on the National Transport Policy IRR. We are writing in support of the proposed draft of the IRR submitted by Mr. Paulo Burro, Ms. Toix Cerna, and Mr. Quin Cruz on behalf of the Mobility Coalition Partner Organizations on 17, September, 2018. These revisions focus on making relevant, accurate data open to the public. We voice our support for these revisions, based on our experiences as a service that both stems from and contributes to open data efforts in the transport sector. Sakay.ph is a mobile application and website that provides commute directions in Metro Manila. 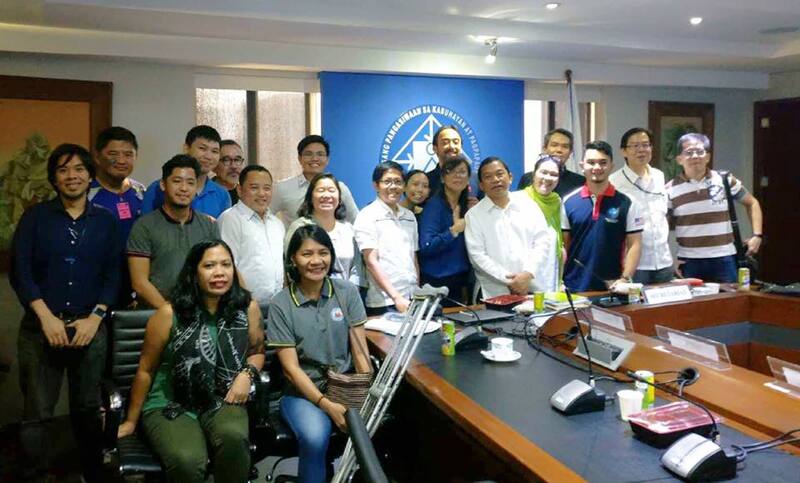 It was an entry to the Philippine Transit App Challenge1 in October 2013, a hackathon organized by the then-DOTC, MMDA, and other agencies with the support of the World Bank. The competition launched a database of jeepney, train, and bus routes as open data, and tasked participants with creating applications for use by the public. Sakay.ph entered the competition, and won the Open Transport Award for leveraging and contributing to open data. Since then, we have worked with the DOTr, LTFRB, private operators, and crowdsourced submissions from the public to maintain what we believe is the most comprehensive collection of transit routes in Metro Manila. In less than five years of operation, Sakay.ph has provided nearly 25 million route suggestions to more than 1.5 million unique users, and has a 4.5-star rating on Apple’s App Store and Google Play. We currently have 150,000+ active monthly users, and expect to continue growing our user base as we expand beyond Metro Manila. We could not have created this application without the availability of open data and the collaboration between the government, private enterprises, and the commuting public. In fact, the World Bank2, together with several independent studies3, 4, have pointed to Sakay.ph and the other apps borne from the Philippine Transport App Challenge as successful examples of the open data model. There is also much evidence of open data’s usefulness to the transport sector in other cities of the world. In London alone, developers have created over 300 apps that leverage open data. According to Transport for London5 (TfL), these apps impact around 4 million people, and have saved 15 to 58 million GBP worth of time in 2012 alone. In another example, OpenTripPlanner6 (OTP) is a public transport routing program that started out as a collaboration between the Portland transit agency TriMet, nonprofit organizations, and independent developers. Using OTP, TriMet is able is estimate the impact of planned service changes on regional commuting times and local citizens’ access to the job market. Today, there are OTP instances in regions across tens of countries around the world. OTP remained open-source, and is actually the software that served as the foundation for the first version of Sakay.ph and many other transport apps around the world. Open data stimulates analysis and innovation from all sectors, giving both policy makers and civic-minded private citizens common ground from which to vastly improve the state of transport in this country. Access to even a base level of open data allowed us to build Sakay.ph in the first place, resulting in free and accurate commuting directions for millions of users in Metro Manila. Every day we assist more citizens in choosing public transport, making their trips faster, more efficient, and more environmentally-friendly. It is in our experience and sincerest belief that easy access to open data to the academe, public sector, and private enterprise will strongly benefit the nation’s transport system for decades to come. 1 “Philippine Transit App Challenge | Create apps to solve transit problems in Philippine,” accessed September 25, 2018. http://philippine-transit.hackathome.com. 2 Krambeck, Holly. “Mapping Manila Transit: A New Approach to Solving Old Challenges,” Transport and ICT Connections. Publication no. 2 (2015). Information and Communication Technology Global Practice, World Bank. January 2015. Accessed September 25, 2018. http://www.worldbank.org/content/dam/Worldbank/Brief/TAI/1511012-TransportICT-Newsletter-Note02-FINAL-v2.pdf. 3 “Encouraging Mobile Devices in ASEAN,” Asian Trade Centre Policy Brief. Publication no. 16-12. June 2016. Accessed September 25, 2018. https://static1.squarespace.com/static/5393d501e4b0643446abd228/t/5768f2d8d1758ea7868a6c76/1466495709875/Policy+Brief+Mobile+in+ASEAN+2016+ATC.pdf. 4 Narboneta, Chelcie & Teknomo, Kardi. (2016). A Study of Metro Manila's Public Transportation Sector: Implementing a Multimodal Public Transportation Route Planner. Asian Transport Studies. 460-477. 10.11175/eastsats.4.460. 6 “OpenTripPlanner,” accessed September 25, 2018. http://www.opentripplanner.org. One-half of Sakay.ph’s original creators. Co-founder at By Implication, CTO at Sari Software, prof at Ateneo de Manila, among other things. Let's make commuting in the Philippines more fun!